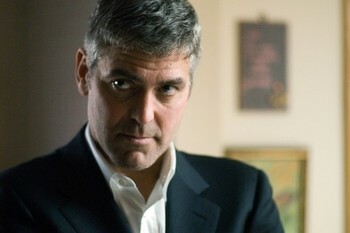 "Michael Clayton" goes down as one of the most intelligent, complex screenplays of the year and title player George Clooney heads a superb cast. Movie out in theaters as of yesterday. The first half of the movie has intricate screen angles and a brilliant suspense. It's a tinge lengthly at the beginning. It's entirety is about 2 hours but the ending is very well scripted. The gist of the story is that George Clooney is a janitor...that is he cleans up the mess left by a powerful New York law firm. But he has his own problems. He's in debt, suffers large gambling losses and is coming to an emotional crossroads. He starts noticing events that don't make sense and pursues for the truth. He's at his best wallowing in the gray area between noble and devious. This is a movie not to be missed.